Apple’s release of the iPhone 4S brought with it more than a few raised eyebrows. Was Apple really launching a new iPhone that is, for all intents and purposes, last year’s model with a few bells and whistles added on? Those same eyebrows raised even further when it was discovered that one of those bells, Siri, was going to be made available to iPhone 4S owners only, with no iPhone 4 compatibility at all. Given the power inside the iPhone 4 that was deemed to be a travesty, and ever since the jailbreak community has been working tirelessly to bring Siri to the iPhone 4. Now though it seems Apple may have had a good reason for the digital assistant not coming to older hardware, and that goes beyond the need to differentiate the iPhone 4S from its older sibling. 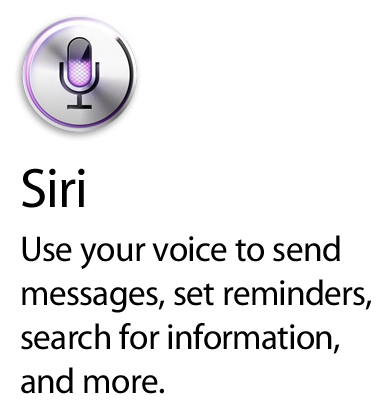 New reports suggest that the real reason for Siri not coming to the iPhone 4 is the lack of special noise cancellation circuitry. Circuitry that is apparently in evidence in the iPhone 4S’s A5 CPU. It would make sense – the success of Siri very much depends on its ability to make out what people are saying, and if background noise is compromising that ability, then things just won’t work as well as Apple had expected. Apple’s A5 processor includes noise-reduction circuitry licensed from a start-up called Audience, and a chip analyst believes that fact resolves an iPhone 4S mystery and explains why the iPhone 4 lacks the Siri voice-control system. Audience revealed details of its Apple partnership in January, when it filed paperwork for an initial public offering (IPO) of stock. Teardown work from iFixit and Chipworks revealed a dedicated Audience chip in the iPhone 4, but the iPhone 4S integrates Audience’s “EarSmart” technology directly into the A5 processor, the company’s S-1 filing said. While the iPhone 4 does feature some sort of noise reduction technology, it is apparently not quite as advanced of that in the latest handset, making it susceptible to issues when trying to use Siri’s voice recognition system. While we are sure that some would rather believe that big bad Apple is trying to rip customers off rather than make Siri available on the smartphone they already own, this does make a modicum of sense to us. 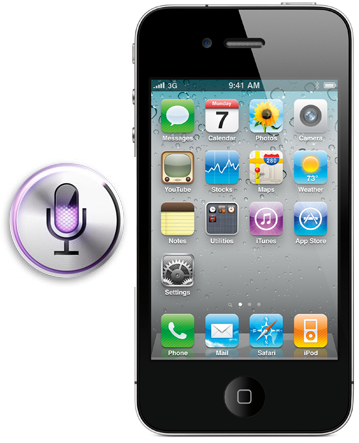 If the iPhone 4 could not reliably understand voice well enough to make Siri work properly, Apple is certainly the kind of company to simply not offer it, therefore avoiding any potential quality issues further down the line. It’s the kind of decision that would no doubt upset iPhone 4 owners, but they all upgraded to the iPhone 4S didn’t they?